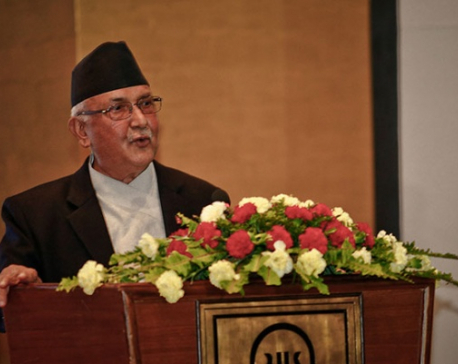 KATHMANDU, June 16: Despite objections from the opposition as well as the ruling Maoists, Prime Minister KP Sharma Oli has reiterated that the local level elections will be held by mid-December. Speaking at a function organized in Kathmandu to mark the 66th anniversary of Public Service Commission on Wednesday, he said that the government will hold the local elections by mid-December. He also said that the elections for all three levels--local, provincial and federal--will be held within the next 19 months. He said that the government will first hold the local bodies’ elections by mid-December of this year, elections for provincial bodies by June, 2017, and elections for federal bodies by December, 2017. The new constitution has stipulated that the elections for all three levels in the new federal setup should be held by February, 2018. He said that the government was making preparations to hold the local body elections as announced in the Policy and Program of 2016/17. "The government has started law amendment process for holding the local elections," the prime minister said. 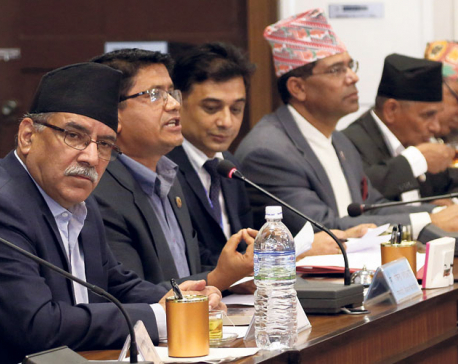 However, leaders from the main opposition Nepali Congress as well as ruling CPN (Maoist Centre) rejected the prime minister's announcement to hold the local body election by mid-December. "I don't know how the prime minister will hold local elections by mid-December when a commission formed by his own government for restructuring the local governance will submit its report only in April, 2017. His statements are simply ridiculous," NC leader Prakash Sharan Mahat said. He said NC wants local elections held as per the new constitution. "I can't understand why the government is hurrying to hold interim election when new local body elections must be held right after restructuring the local bodies in line with the new federal setup," he said. He also criticized the prime minister for not consulting the opposition party for hold the local body elections. "He has been making public statements about the government plan to hold local elections, but he has not discussed the issue with the opposition party. Instead of making baseless statements, he should work to forge consensus for holding local elections," Mahat said. He argued that the provincial and federal elections are not possible any time soon as demarcation of constituencies has yet to be completed. "I urge the government to first complete the task of state restructuring as envisioned by the new constitution before deciding to hold elections of all the three levels," he said. The new constitution provisions that federal and provincial elections will be held only after holding the local body elections in line with the new constitution. Also, UCPN (Maoist Centre) leader Barsa Man Pun said that holding the interim local elections would be a waste of resources. "The local bodies are being converted into village-level municipal bodies and municipalities soon. 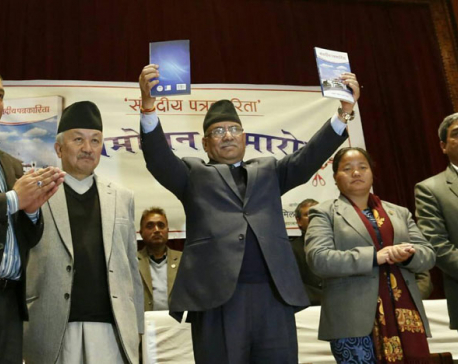 So, there is no point holding the elections for village development committees and municipalities now as new elections under the federal setup have to be held as per the new constitution," Pun said. He said that the elections for local, provincial and federal levels should be held only after restructuring the local bodies in line with the commission's report. Balananda Upadhyaya, the chairman of the local body restructuring commission, also said that it was not possible for the commission to complete its work by mid-December. "Restructuring the local bodies is a sensitive issue and we are mandated to complete our work by March, 2017. If the government wants to hold the election by mid-December under the new federal setup, we will have to curtail all the consultation processes and prepare the report in haste," he said, adding, the government has not discussed interim local elections with the commission. He also hinted that it was not possible to hold the elections for the local bodies in the new federal set-up by mid-December.